At East Suburban Pediatrics, we focus on keeping your child healthy. 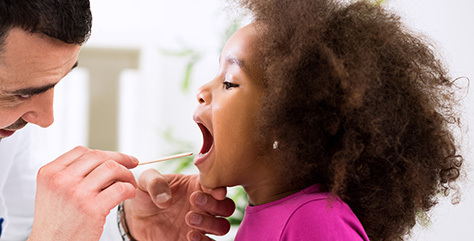 Well child visits, or regular checkups, are so important in keeping your child healthy. We monitor your child’s growth and development, answer any questions you have, and provide important vaccinations at these visits. To schedule a well visit appointment you may call any office during normal business hours. Well visits must be scheduled in advance. Certain times of year may be busier than others and you may need to schedule several weeks ahead of time. Your child gets scheduled immunizations to prevent serious illness. You also can talk with us about healthy habits, such as good nutrition, exercise and sleep. See how much your child has grown in the time since your last visit, and talk with us about your child’s development. You can discuss your child’s milestones, social behaviors and learning. Make a list of topics you want to talk about with us. Things like development, behavior, sleep, eating or getting along with other family members are perfect to discuss. Regular visits create strong, trustworthy relationships among pediatrician, parent and child. When your child is sick and you need us most, we already have that important bond.